Most mortgage marketing is still based on traditional advertising methods. True, it is changing, with companies embracing a range of innovative and interactive approaches, but there’s still more you can do. Along with current client engagement and boosting customer loyalty, marketing automation enables you to generate more quality leads. Here’s how to take control of your lead generation strategy, increasing results and improving ROI on all your campaigns. Shake things up. Think about switching the way you approach lead generation. The future is here: technologies are an ever-increasing part of customers lives and lenders must be open and willing to adapt it if they want to stand out. Increase your social media presence. One of the best ways to harness today’s technology is by get more mileage out of your social media platforms. Twitter, Facebook, LinkedIn, Pinterest, and Instagram offer diverse ways to advertise your mortgage lending services to a wide range of audiences. And reports generated can help improve future campaigns. Create landing pages. Landing pages are typically used for single marketing campaigns or for single targeted audiences. 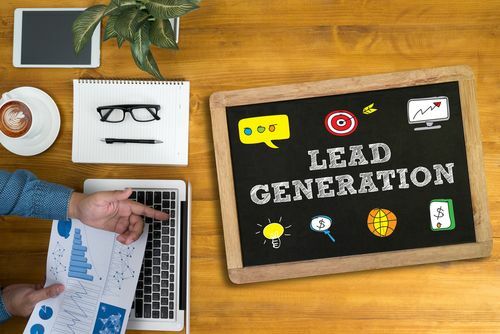 Lead generating landing pages exist for the sole purpose of capturing a lead’s information in exchange for something like an eBook, white paper, or bonus tips. They work because they keep things simple: no excess information, one specific goal, and a single call-to-action. Track your clients. Don’t assume your clients will remember to call you next time they are in the market for a new mortgage. Have a system in place to notify you when your past clients have decided to list their home on the market, so you can be proactive. Lead generation plays an important role in your mortgage marketing strategy and, remember, potential customers are only potential customers for a fleeting period of time. An automated mortgage marketing solution helps your company capture as large a portion of an existing market as possible, creating a demand for your products and services and driving your success.